Plans to renovate the Old SUB, which, until recently, belonged entirely to the AMS, have existed since 2008 according to AMS Designer Michael Kingsmill. Now that the AMS Student Nest is open and operational, the Old Sub will be renovated. The task has been undertaken by the UBC Properties Trust in service of two different clients: the AMS and the university. 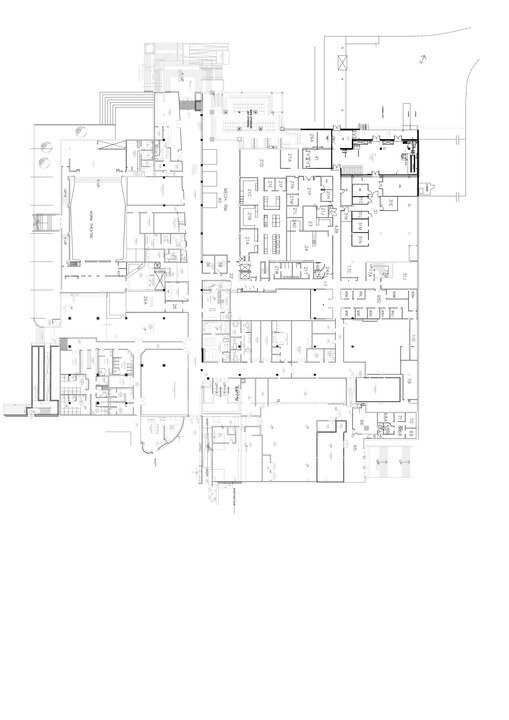 Both entities own separate parts of the building and each have separate plans for their respective parts. The university — which controls the top floor, main floor, and roughly half of the lower floor — will be using their area as storage and swing space over the course of the next five years as other campus buildings undergo seismic upgrading. Swing space refers to space that can be used by those who are displaced by renovations. 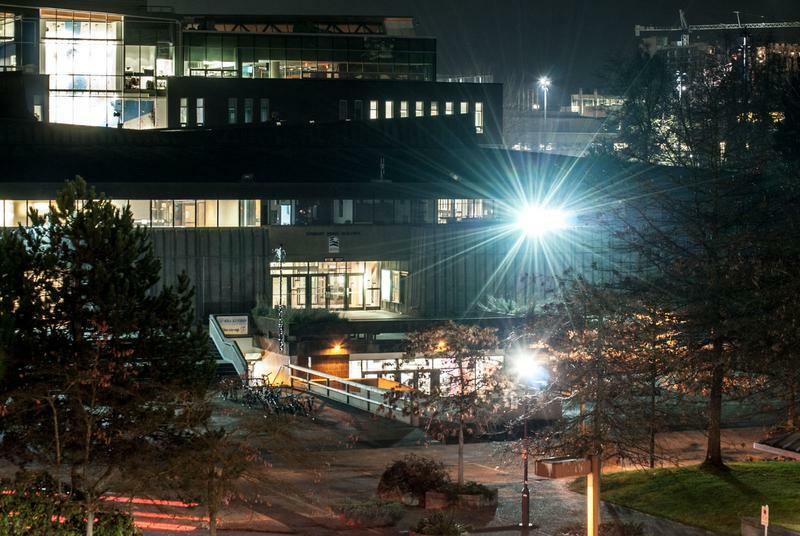 "The university only months ago received notice from the provincial government that they were going to receive hundreds of millions of dollars for seismic upgrading of buildings on campus here," Kingsmill says. Thus, as various buildings on campus are affected by renovations, students may find themselves taking classes in the Old SUB for the duration of the upgrading. "This renewal that's underway right now is going to also be an investment in the long term renewal of the building under the big plan which is called the 'Student Life Centre,’" said Kingsmill, noting that the finishing touches will hopefully be put on in five years. The Student Life Centre will be comprised of drop-in services catered toward student health and wellness on the main floor, and combinations of meeting rooms and administrative offices for student-focused services on the second floor to "create really what would be a university administration building for student services and support," according to Kingsmill. "The Old SUB really speaks to the times when it was built in the '60s. It's very enclosed, it's very introspective," he said. "This new plan will somewhat undo some of that and puncture the outside of it, add colour and other noticeable changes to the exterior of the building to give it kind of the 'new look' of 'the 2016.' So it's going to be quite refreshing." As for the divided lower level, at this point the university has not yet fully determined what their half will be repurposed for. However, they appear to be leaning towards more facilities for recreational activity. The AMS retains the other 35,000 square feet of the bottom floor — stretching from the Nest entrance down along the main corridor and all the way to the exit on the north side. They plan to make this space feel transparent and accessible, so that passersby can imagine the area as an extension of the AMS Nest. AMS VP Administration Chris Scott describes a particularly unique projected addition — showers. "We have 17 showers," said Scott. "We have a men's, women's, and a gender neutral or universal [shower room], and we also have a universal general washroom. All of these showers will be accompanied by lockers, so you can lock your stuff up, walk in, have your shower and come back out." The showers are to be self-contained by doors and efficient enough to qualify the building for a LEED Platinum sustainability certification — awarded to only the greenest buildings with the lowest energy and water consumption. "The showers [are] meant for commuter students who have had a late night in the library and need to come early in the morning and have a shower and go to class. It's also friendly for students who are commuting to UBC via bike — they can just hop in, have a shower before class, and then head off." Other notable planned features include a large bookable room, a bookable movement studio, a new location for Sprouts positioned right by the North entrance, a new location for the Bike Kitchen, a new entrance to the Norm Theatre (complete with a new red carpet), a green room (for performers getting ready to go into the Norm) and a photo studio. Highly specialized rooms are also to be constructed for some clubs such as the pottery club, AquaSOC, FilmSOC, PhotoSOC and Blank Vinyl Project. Some space retained in the corridor adjacent to the stairs to the main floor has also been put aside for music practice rooms, and a resource facility for foreign and exchange students — the planning of which is in the generative stages. "[The walls] will be largely glass, so you can see through. We're looking at making these clubs more open to the public and we're working with them to make sure that they'll get more foot traffic and also make students feel more invited to participate in those activities," said Scott. Renovations of the area belonging to the AMS are expected to take place from August 31 through to September of next year. "These plans ... [either] get morphed and funding becomes perhaps uncertain and so things get pared back or funding all of a sudden is released and things expand — so they're often doing things before they finally get settled," said Kingsmill.